I know the rest of that song lyric says 'for the springtime', but I'm here to tell you autumn works too. I also know some of you are scratching your heads saying, 'What song?' Sigh. A-ny-way...I spent the weekend in Boston and do you know what women who haven't seen each other in a while don't do when they get together for a weekend? I got home yesterday afternoon, unpacked, then had a long nap on the couch. I did wake up long enough to make breakfast for dinner (it only felt right after my ridiculously long nap), and then fell back to sleep on the couch before going to bed and sleeping til morning. So far this is riveting, isn't it? I was in Boston to catch up with about 40 women who all lived in the UK around the same time as me. We laughed and shopped and ate and talked til our throats were sore, and we didn't sleep. Not much anyway. Some of the group left England before I arrived, but many were still there when I hopped the pond and we all share love for a small island and the memory of a place in time. The fun started before I ever left NJ. One friend coming from Canada connected thru Newark and we sat side by each on the flight to Boston. I read somewhere the expression 'side by each' originated in New Foundland so using it in reference to my Canadian friend seems appropriate. Please don't correct me if I'm wrong because I love that expression. 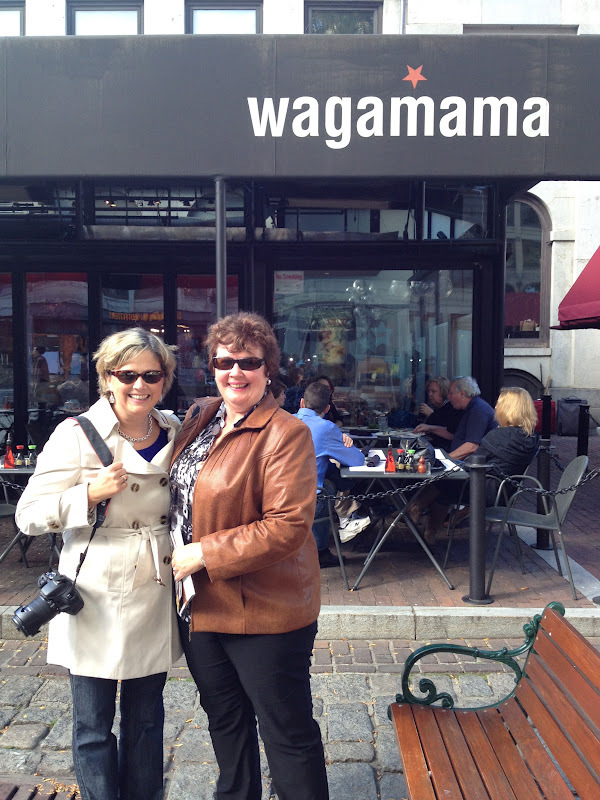 We didn't actually eat at Wagamama though, because this is Boston not London, and we needed steamers or chowder or lobster in some form or fashion. Not hard to find in a city perched beside the Bay and by Sunday we'd managed to have all three. I will resist writing chow-dah and lob-stah which is not as easy. After lunch we walked and shopped and talked some more, and I could probably just sum up the whole weekend with that one sentence. People trickled into town Thursday evening and most of the day Friday, and then everyone met in a nearby restaurant for a wonderful Italian dinner Friday evening. We went around the room and told a little about our lives now and it was fun to discover some new connections with people too. I happened to be sitting beside someone I didn't know before the weekend, but she worked for the same company as my hubs many years ago. There were other 'small world' moments which I think happen more frequently in the expatriate community than in other walks of life, and they never fail to bring a smile. I haven't seen her since 2007, and while we catch up on the phone now and then there is nothing like a conversation in real life. 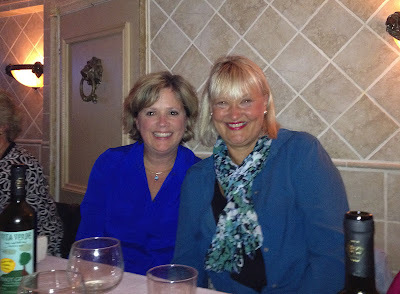 The weekend was organized by two women in the group who now live in the Boston area and they did a fantastic job of managing all the details that made it easy for the rest of us to just enjoy. I will not even mention the weather because ugh...kinda felt like we were all back in England. A train ticket from our little village into London along with a map she'd printed to get somewhere back in 2006. 2006? Wasn't that just yesterday? The four of us standing there all had a bit of a moment. It's not just me, y'all. My friend lives somewhere warm now so not much need for a long raincoat. She hadn't put her hand in that pocket in forever. Not since her son and my daughter1 graduated from high school together. Her son and my daughter1 who are now both gainfully employed college graduates living in apartments of their own. Yes we did have us a little moment. 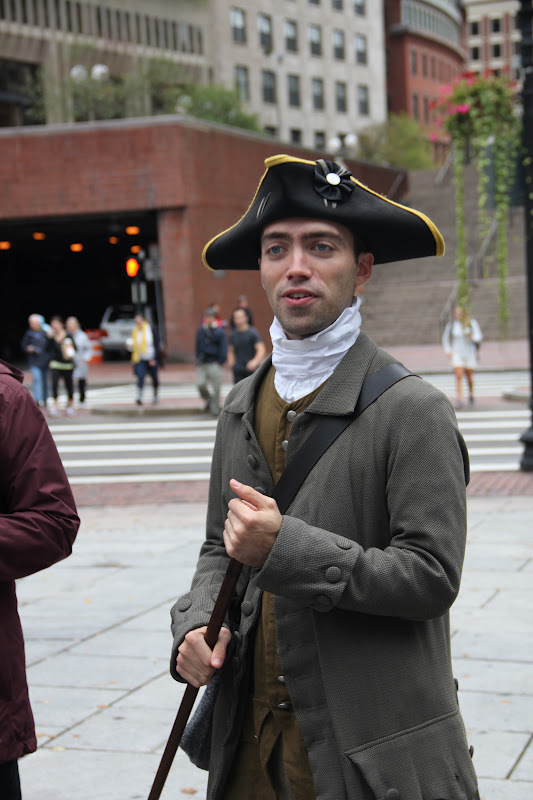 Saturday morning a group of us trailed behind our guide for an Historic Boston walking tour. The rain took a blessed break and our guide was fantastic. His name was Terry and he was a drama student at the local college, but for our purposes was dressed in colonial garb and calling himself, Ebenezer, aka John Hancock's younger brother. He definitely had a gift for this sort of thing. Naturally when the tour ended we were back to our old ways. Let's just say its a good thing we walked all over this city. Saturday night was another group dinner followed by a ghosts and graveyards tour via trolley. It was fun scary, not scary scary, and the guides were entertaining. About five minutes after the guide began his spiel, which included asking us questions, he realized he may have met his match in this group of women. As is the case with all weekends, but especially weekends spent with old friends, it ended way too soon. Prior to the weekend I'd never spent any time in Boston, but I definitely want to get back there someday. Next time I'll bring the hubs. You really needed this kind of refreshment, didn't you, JOyce? It seems that time with girlfriends is just about the best therapy for weary women. So glad you got away w/ them for your soul's sake. PS The only time I've been to Boston was in the fall, like the Veggie Tales song. Beautiful! How lovely to be able to catch up with all your friends. I love that song...now, if I can only remember who sang it! Is it Bread? Sure sounds like you had a blast with all your girlfriends! I really enjoyed all of your pictures! Boston is one place I've never been and have always wanted to visit. My youngest brother lives in Boston, but I've never been. I've gotta get up there...soon!!! It looks like you had such an amazing time! What a great time! Girlfriends are the best! Sounds like a WONDERFUL time!! Bless the women who planned it! I especially love the part about the map in the pocket! My friend Mrs. Schmenkman has been here since last Thursday and we have been going non stop, I totally hear you on the tired part! This looks like soooooo much fun! I'm a wee bit envious....ok quite a bit more than a wee actually! 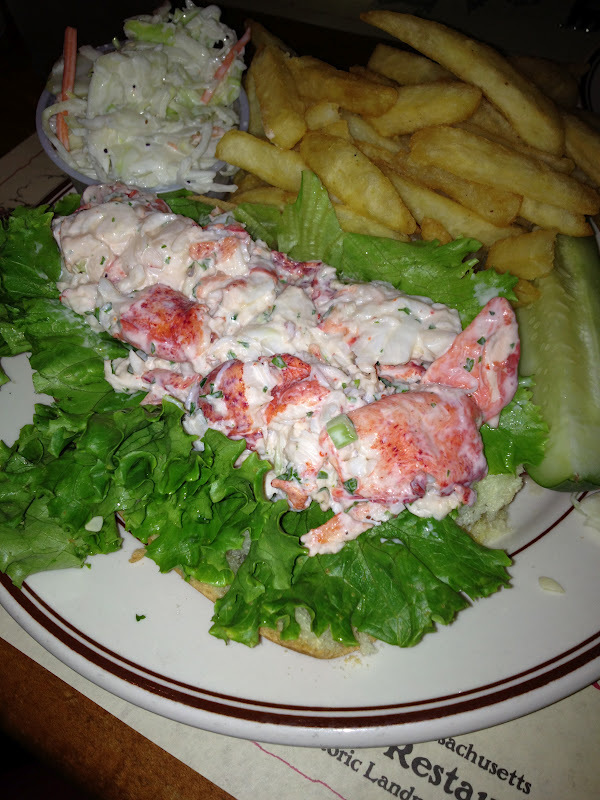 Really enjoyed your post and your pics, thanks Joyce! Looks like a wonderful time! And I happen to love the song you referenced. My sister sings it to my niece as a lullaby all the time. What a fun reunion, and in a great city. I loved the story about the map. My best friend is spending the day in Boston today prior to a flight to Europe tomorrow....wish I was there with her. Looks like too much fun! I've never been to Boston and one thing on the top of list since moving back to East coast. Have a wonderful relaxing week...I think you will need it! Joyce I'm so glad that you had a wonderful time despite the weather! What a fun weekend. Time does fly (I'm thinking of your part with the train stub). I saw a picture of my oldest from 1st grade yesterday. In my mind, she has not changed, but when I saw that picture, oh my goodness, she has grown up. I loved Boston. The food and shopping are some of my favorites! We didn't find it to be the "friendliest" city - but that won't stop me from going back. I could feel the fun as I read your entry. You are so right, there is just nothing like "girlfriend fun." Thanks for sharing, I feel as though I just took a quick visit to Boston as well. Happy day! On Thursday I leave for a 4 day weekend with girlfriends at a lodge in WV. We scrapbook, share stories, eat, and like you, don't get too much sleep. Same 14 women going on our 13th year. We just sometimes need girl time, right! Thanks for the tour; I might try to give a synopsis when I get back. You've inspired me! Looks like a wonderful trip. I've never been to Boston, but I would love to go some day. Enjoyed your pictures and the reminder of that song too. Now I want some chowder! Looks like so much fun. I haven't been to Boston since I planned our family trip there for my drivers ed project. That was a few years ago. Must go back. what fun...and with girlfriends, yeah!! it's fun to make our chilluns jealous sometimes, isn't it?!!! We had the priviledge of visiting Boston this summer because we started our cruise from there. I had the opposite trip as I met up with a friend I hadn't seen in 20 years. We taught school together 36 years ago. Your trip sounds absolutely amazing! Friends are one of God's top 5 blessings - and these are evidently some exceptional friends. Hope you enjoyed every moment! I remember that song! What a great reason to go to Boston. I've never heard that expression "side by each." Joyce, what a fun weekend you had. I'm so glad you got to see some special friends and made some new ones. How wonderful to get together with some old friends and new! It looks like you all had a fantastic time!